Dr. Wolpov has practiced in the physical therapy industry for over 30 years, and she specializes in the outpatient orthopedic setting. 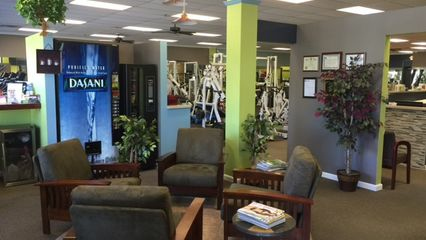 In May 2002, Dr. Wolpov purchased a local fitness studio and added to it, her specialized physical therapy practice, which is now known as Game Shape – Physical Therapy & Fitness Center, located in Manalapan, New Jersey. Back in the day, her PT practice was called "Professional Sports & Orthopaedic Rehabilitation Associates", which was later re-branded into it's current name: "Game Shape Physical Therapy". Game Shape also offers an exclusive one-on-one personal training facility combined with a fitness membership clientele. Her PT facility is a Rehabilitation Network Participating Location with the Hospital for Special Surgery (HSS). Dr. Wolpov’s extensive experience includes providing the most advanced, evidence-based treatment services to patients of all ages; and, opening and directing start-up physical therapy facilities throughout New Jersey. Dr. Wolpov has consistently risen through increasing levels of responsibility within the rehabilitation services industry. She possesses almost thirty one years of hands-on clinical experience, as well as, a wide array of business skills in the areas of: strategic planning, financial management, operations, marketing, quality control, documentation auditing, policies & procedures, human resource management and business development. She was also recently nominated for the prestigious Athena Award for her commitment to the community and the advancement of women in business. In addition, Dr. Wolpov completed both her MBA and DPT curriculum with a 4.0 GPA, and she is preparing to sit for Orthopedic Board Certification (OCS), through the American Board of Physical Therapy Specialties (ABPTS), in March 2017. She has taken over 75 continuing education courses in the areas of orthopedics and sports medicine. Dr. William J Gulli graduated with his Doctor of Physical Therapy from Sacred Heart University in 2015 as well as with a B.S in Athletic Training in 2012. During the course of his education/ working history he has worked with various populations including professional athletes, division 1 athletes, weekend warriors, patients with amputations, patients with neurological disorders and those who want to regain their independence. Dr. Gulli’s first experience with the field of Physical Therapy was as a young Athlete. During this time he was able to see how movement could help people get better. He experienced this again when he was a freshmen in high school where he was able to witness how he could spend a lot of time helping people( what he wanted to do) without the need for medication. His decision to go to PT school was solidified when he spent time working as an athletic trainer in the WNBA. There was a Physical Therapist that work with the team and his knowledge of rehabilitation and the human body far surpassed what he thought was possible, and decided that he wanted to be just like that. Dr. Gulli has a passion for all aspects of physical therapy, but decided to pursue orthopedics due to its complexity and relationship to every system in the body. Physical Therapists are human movement experts. Musculoskeletal injuries cause abnormal movement patterns. Dr. Gulli believes that a Physical Therapist should be the first stop for anyone with musculoskeletal pain. Dr. Gulli’s plans on becoming a Board Certified Orthopedic Clinical Specialist (OCS), and get his fellowship in Orthopedic Manual Physical Therapy. Dr. Alexandra Couzo graduated with a Doctorate of Physical Therapy degree from Rutgers University in 2015. Prior to her education at Rutgers University, she graduated from Felician College with a B.S. in Biology, and Minor in Chemistry in 2013. She was a member of Felician College’s NCAA Division II Women’s Soccer Team, in which she was given awards for both athletic and academic achievements. As an athlete most of her life, Dr. Alexandra Couzo has a passion for sports and values the importance of teamwork. Since graduating, Dr. Alexandra Couzo has found her home in the outpatient setting as she enjoys the variety of patient diagnoses from orthopedic conditions, neurologic disorders, pre and post-operative care and vestibular/balance dysfunction. Dr. Alexandra Couzo is also a Crossfit Level 1 Trainer and is enthusiastic in bridging the gap between rehabilitation and fitness. She also has plans to pursue a certificate in Strength and Conditioning in the near future, as well as, become a certified Mulligan Concept Practitioner. Dr. Alexandra Couzo is a strong believer in the power of movement and manual therapy, and is looking forward to expanding her treatment techniques to provide the best possible care to each of her patients. Dr. Katelyn Murphy graduated May 2018 from University of the Sciences in Philadelphia with her Doctorate in Physical Therapy. Dr. Murphy’s clinical experience includes a variety of orthopedic conditions, both acute and chronic, as well as, post-surgical. Her passion lies in treating musculoskeletal sports injuries, with patients of all ages and activity levels, from pediatrics to Division I collegiate athletes to weekend warriors. Additionally, Dr. Murphy enjoys helping individuals post-concussion and with different vestibular conditions. Dr. Murphy’s passion for physical therapy was first sparked by her experiences as a patient in PT offices. A lifelong athlete, she often found herself rehabbing various injuries she sustained on the field. Over the years, she was inspired by both the dedication of the PTs that treated her, as well as, the relationships she made along the way. Her successful physical therapy sessions afforded her the opportunity to play 4-years of Varsity lacrosse at Freehold Township High School and 3-years at the Division II collegiate-level at Georgian Court University. Dr. Murphy has also coached club lacrosse for 8 years. Prior to her graduation from physical therapy school, Dr. Murphy began obtaining certifications in the McKenzie Method of Mechanical Diagnosis & Treatment. Using her physical therapy knowledge and love for educating/coaching, she has lectured on “return to sport” protocols to other DPT students and provided injury reduction workshops to high school lacrosse players. Dr. Murphy plans to obtain her Strength and Conditioning Specialist Certification (CSCS) in the near future, and in time, become a Board Certified Sports Specialist (SCS).